Ssangyong recently revealed their 2017 Ssangyong Rexton 7 seater which now seems to be the flagship model of the company. We know that Mahindra has declared that Ssangyong vehicles will not be coming to the Indian market. But let us make you aware of the fact, that the new Ssangyong Rexton and Mahindra are using a peculiarly same code name for Mahindra’s new 7 seater SUV. 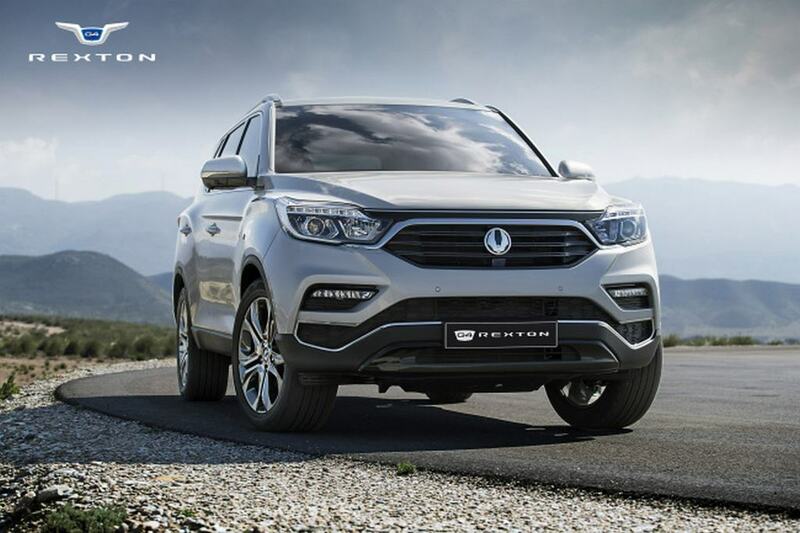 Thus we may now assume that Mahindra’s upcoming flagship model is based on the all new Ssangyong Rexton, but will be available in India under Mahindra’s name. The Y400 is the code name which is being used by both the companies for the 7 Seater SUV. Considering the facts, we might expect the upcoming SUV to be massive in every sense. Although there will be certain technical changes in the Indian version, we can’t be sure of all the specifications. The Y400 being massive in structure and being the flagship model of the Indian carmaker, can be named as the XUV 700. The XUV 700 / Y400 project is expected to be revealed at the 2018 Delhi AutoExpo. The vehicle will be placed against the Tata’s Q501/Q502 Luxury SUVs. 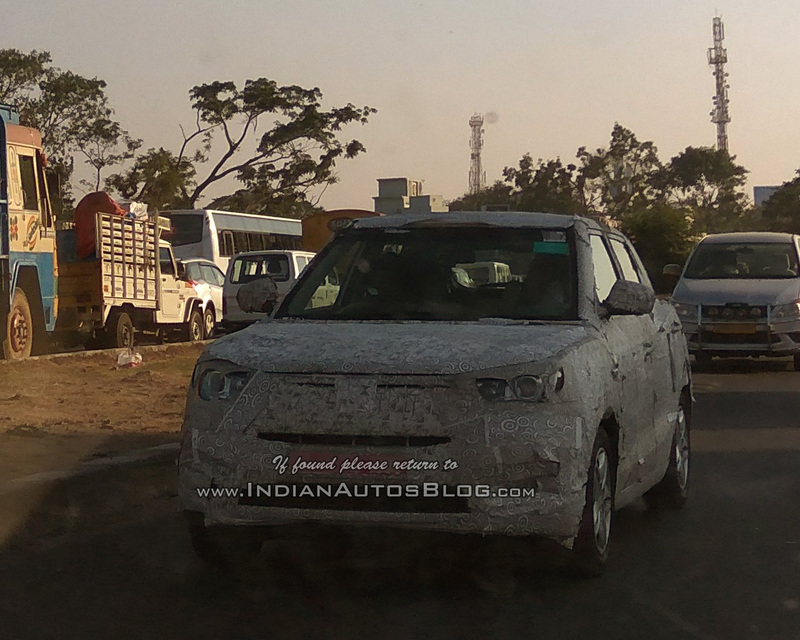 Apart from Rexton, Mahindra is also up with the S201 project which is based on the Ssangyong Tivoli X100 platform. The vehicle has been reported, spied and spotted being tested in the camouflage for a couple of times. 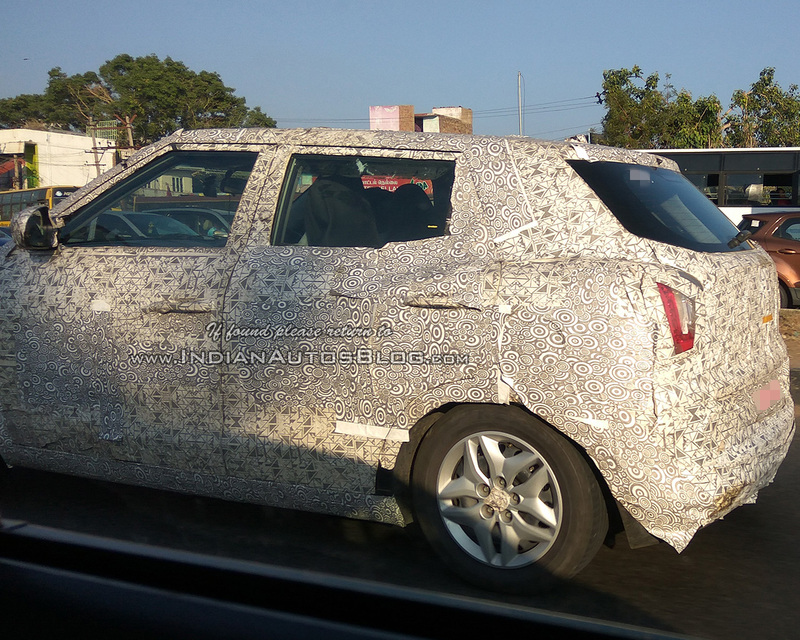 The spied vehicle seems to be Ssangyong Tivoli wrapped in black and white and nothing else. Reports suggest and promise that the S201 will differ from the Ssangyong Tivoli in design, thus we might expect some rework done on the vehicle by Pininfarina and Mahindra. According to the previous feeds, Dr Pawan Goenka, Managing Director of Mahindra and Mahindra group had confirmed that the company is up with some work of the upcoming compact SUV. He also said that this vehicle will be positioned against the subcompact SUV softroaders. Vehicles such as the Maruti Suzuki Vitara Brezza, Ford Ecosport and the Hyundai Carlino. The S201 is more likely to get a petrol engine for its launch. As Mahindra and Ssangyong Motors seem to been working on a 1.5 litre 4 cylinder mill, this vehicle seems perfect to be mated with the 1.5-litre petrol engine. With all that said, we can expect some new stuff in the market by the Indian Carmaker in upcoming times.